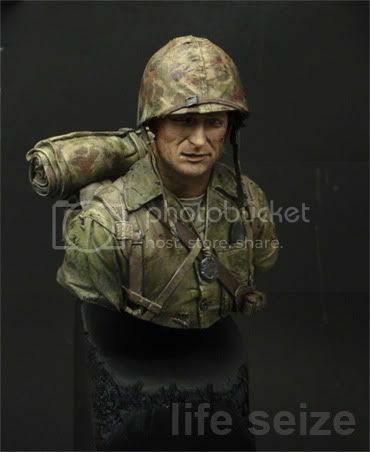 Heyho... after bringing it to an end i have now made some final photos of the USMC bust. They are for sure a bit too big so i have added one photo of the normal bust seize to them... hope you like him, even you can't see him anymore after the Step by Step (i've updated the final steps to the article) and the massive load of photos of this guy you might have already seen... hope you enjoy! Just one thing: it's "size" not "seize".